Sarah and I met at Mountain Lake Biological Station in 2014 when she was an undergraduate at the University of Virginia. She's assisted with 2 field seasons of salamander mark-recapture, countless hours of lab work and animal husbandry, and life in general. Sarah completed an independent salamander research project and presented it at SICB in 2016. She's also coauthor on my 1st publication. 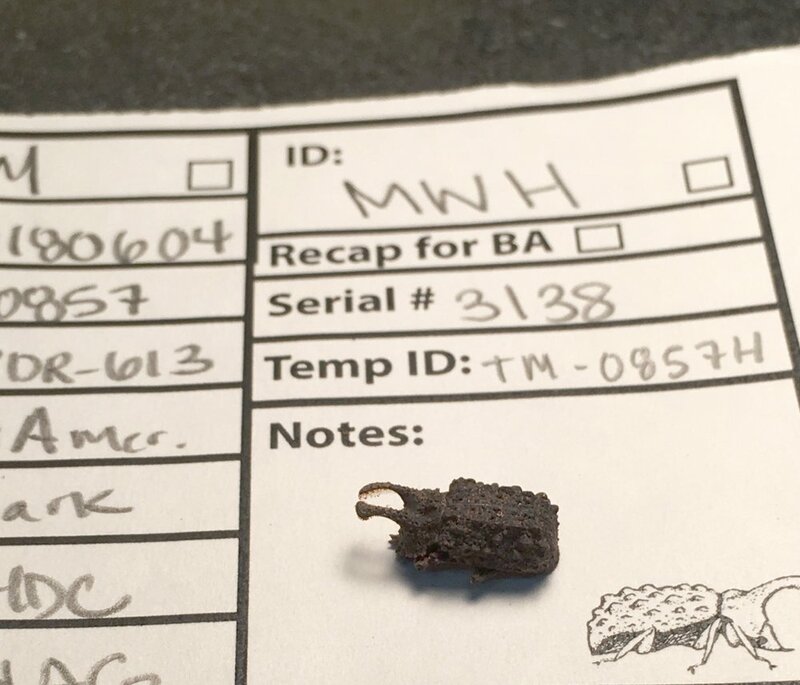 Sarah has interned at the Reptile Discovery Center at the National Zoo, spent 2 summers working on snake population ecology with Dr. Kristin Stanford at Ohio State's Stone Lab, and has worked with forked fungus beetles for the Brodie/Formica labs. Augie joined the team as a sophomore at Oberlin College in 2015. They were my 1st REU student and has championed 1 of my favorite projects - Plethodon species coexistence in the presence of a novel competitor. We've continued to collaborate on several papers: 2 are published and another is in prep. Augie even came back for a 2nd summer of fieldwork and data collection in 2016! Augie has presented their work at several conferences, including SICB, NE PARC, the 2016 Plethodontid meeting, and MEEC. Sam worked in the lab as an REU student in 2016, the summer before her senior year at SUNY ESF. Her project focused on competition strategies in the red-backed salamander. She measured foraging behavior in natural conditions to determine whether P. cinereus reduces interspecific and intraspecific competition by means of diet selectivity between age classes and across habitats. She presented this work at SICB in 2017. Sam's currently pursuing her love of animal behavior research and primatology! Matt began working in the lab as an undergraduate at the University of Maryland where he completed an Honors' thesis titled: Examining the limiting roles of rainfall and intraspecific competition on the foraging success of Red-backed Salamanders. This involved collecting salamanders and staging an intensive lab experiment to manipulate moisture and population sizes in realistic lab-based mesocosms. Matt presented the results of his work at SICB in 2017. He's since graduated with High Honors and is off exploring the world! Mika began working on a project with me at Mountain Lake Biological Station in the summer of 2018, after completing her freshman year at Swarthmore College. She performed a series of lab experiments to test the relationship between stress responses and cannibalism in forked fungus beetle larvae. She really took charge of the project and we’re getting some cool results, which Mika is planning to present at SICB in 2019. Melissa joined the lab as an undergraduate at the University of Maryland. She's been working on a project to compare parasite loads in red-backed salamanders from >10 sites across the species' geographic range. Melissa is especially interested in disease ecology, and also public health. She's often exploring the world and contributing to the well-being of others through public health advocacy work. Logan was my 1st-ever field assistant and set a ridiculously high bar! She came to the lab after graduating from Florida Gulf Coast University and spent the summer of 2014 assisting with a salamander mark-recapture project. Notably, Logan kept me from getting lost in the woods on a daily basis. Together, we rescued a stray dog during a nighttime salamander survey, which remains my favorite field experience. Logan has since received a Master's degree from Virginia Commonwealth University and is currently working as a Wildlife Biologist Volunteer Coordinator for Florida Fish & Wildlife Conservation Commission. Osmary joined the lab as an REU student in 2016, while she was an undergraduate at the University of Puerto Rico at Mayagüez. Osmary's work focused on comparing thermal limits in two species of Plethodon salamanders from low and high elevation populations. She presented the results of her work at SICB in 2017. 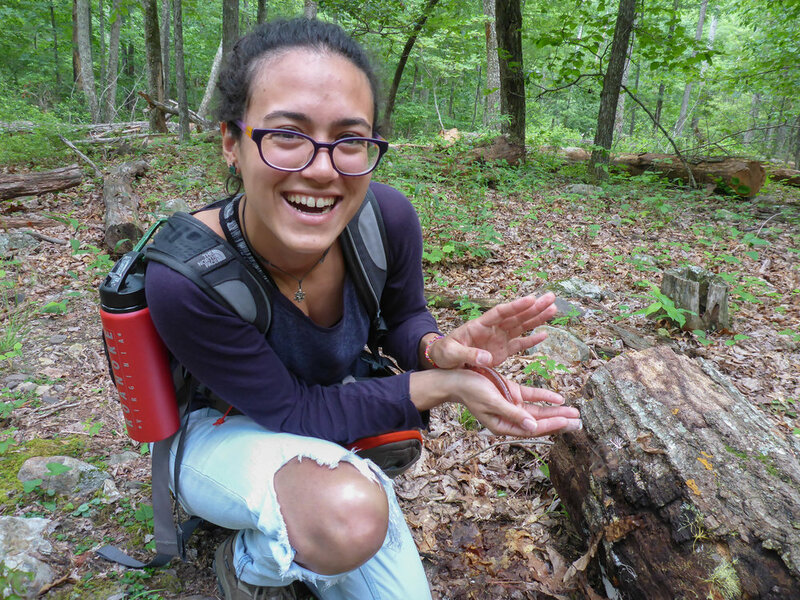 Osmary is passionate about reptile and amphibian conservation, and has held a variety of conservation positions throughout the Americas since graduating. She's spent much of her time rescuing and protecting sea turtles and researching the beautiful Frosted Flatwoods Salamander with the USGS. I met Tori in 2015, as an undergraduate at the University of Maryland, and she's been a critical part of several lab projects. Tori completed an independent project measuring salamander diet at different temperatures in the lab and presented her results at SICB in 2017. She also took the lead on a paper investigating climbing behavior in response to community composition in Plethodon communities, and is a co-author on a study comparing stress hormones and performance at different temperatures in salamanders from a latitudinal population gradient. Tori graduated in 2017 and is working towards a master's degree in the Warnell School of Forestry and Natural Resources at UGA.